We, at PeeJays Fresh Fruit, would like to honor the brave American men and woman who have served in the Armed Forces to protect this country’s freedom. 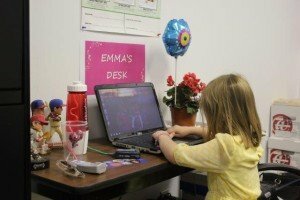 Pee Jay’s is happy to welcome our newest employee – Emma D’Agostino. 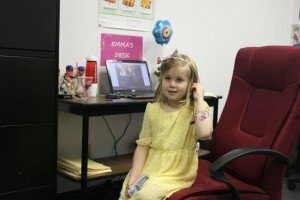 Emma took part in 2015 Take Your Child To Work Day and was a big help. She even successfully implemented a new afternoon nap policy here at our office! At this time of Thanksgiving we would like to express our sincere appreciation for your loyal business and wish you and your family a wonderful Thanksgiving holiday. In order for our staff to spend the holiday with their families, Pee Jay’s will be closed on Thursday, November 27. We will be open on Friday, November 28 with normal business hours. We will also be open on Saturday 11/29, 12/6, and 12/13. We at Pee Jay’s would like to take a moment to say “Thank You” to all of the men and women who have served or are currently serving in the US Armed Forces. We appreciate all you do to continue to fight for our freedoms! Last Monday marked the first day of fall, and with it comes some of the many wonderful Fall traditions: hay rides, football games and pumpkin carving to name a few. But when the air turns crisp and the leaves transition over to a splendor of vibrant hues, there’s nothing like going apple picking on a Fall afternoon. 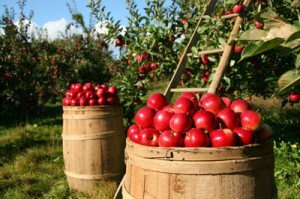 If you’re looking for something fun to do with all of the apples you’ve picked, you can try making your own apple cider! Our Fall 2014 price list will be published by September 22nd. If you would like to be added to our mailing list, please contact us at 800-847-6141 or email us at Info@PeeJays.org. Now that Labor Day has come & gone, most, if not all schools are back in session. 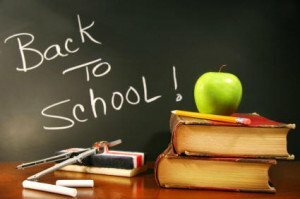 Here’s wishing everyone a healthy, safe & fun school year! If you are looking for a great fundraiser for your school or group, there’s no better way to earn a “Healthy Profit” than by selling apples, pears and an assortment of citrus fruit with Pee Jay’s Fresh Fruit! If you have any of your own citrus-inspired recipes, we’d love to hear about them! With the Labor Day weekend quickly approaching, Pee Jay’s would like to wish you and your family a safe, enjoyable holiday weekend. Here are 10 Labor Day facts, first published in 2012 by Steve Odland of Forbes.com. Labor Day in Canada began in 1872 in Toronto but quickly made its way south to the U.S. Originally it began as a significant demonstration demanding rights for workers. The first U.S. Labor Day was celebrated on Tuesday, September 5, 1882, in New York City, planned by the Central Labor Union. The Labor Day parade of about 10,000 workers took unpaid leave and marched from City Hall past Union Square uptown to 42nd street, and ended in Wendel’s Elm Park at 92nd Street and 9th Avenue for a concert, speeches, and a picnic. Oregon was the first state to make Labor Day a holiday in 1887. What are we celebrating? The contributions and achievements of the 155 million men and women who are in the U.S. workforce. Traditionally people did not wear white or seersucker clothes after Labor Day as it unofficially marked the end of summer. The football season starts on or around Labor Day and many teams play their first game of the year during Labor Day weekend. Labor Day is viewed as the unofficial last day of vacation before the start of the new school year (and mourned by students all over). Stated differently, it is the Back-to-School kickoff (cheered by parents all over!). Welcome To The NEW PeeJays.org! Just in time for the Fall 2014 fundraising season, we are proud to announce the unveiling of the NEW PeeJays.org website! In addition to the new enhanced interface, you’ll also now be able to log into your eCommerce Admin Dashboard through the Customer Login feature. You’ll also get up to date on our new product offerings, and our Spring Strawberry Sale. We hope you’ll find the site informative and easy to use. Check it out and let us know what you think!